Winter has arrived in the Madison Valley, and we are seeing some much colder day and nighttime temperatures with a decent amount of snow starting to fly. Not that 20 degrees is all that bad, but throw some 10-20 mph winds in the mix and you’ll definitely start to feel it. You’ll find a little warmer sanctuary by Ennis, but the lower river is getting a little chunky with ice flows down toward town. 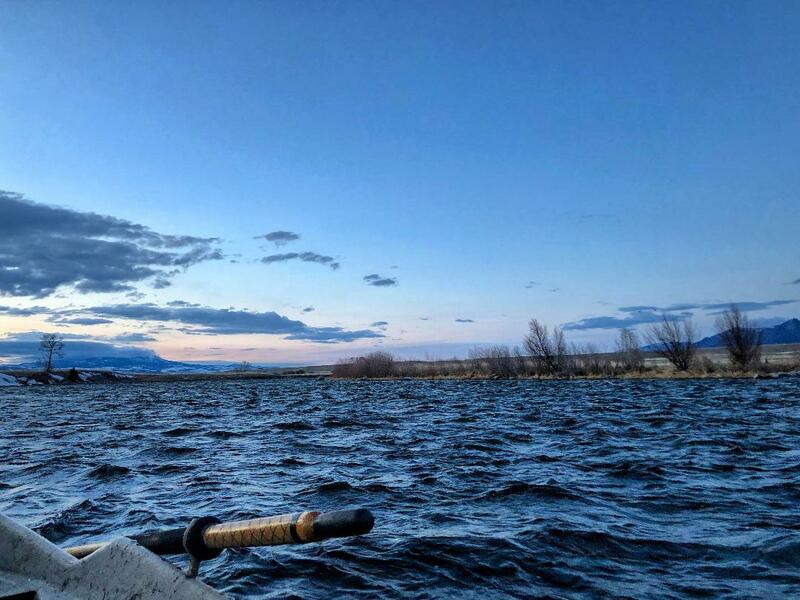 All that being said, colder weather tends to keep the crowds down so you’ll have no problem finding some prime water out there and the fishing has remained pretty good. The Upper Wade stretches continue to fish well with midges and other small attractors underneath the surface, with a few adult midges bringing fish up during the early afternoon hours. 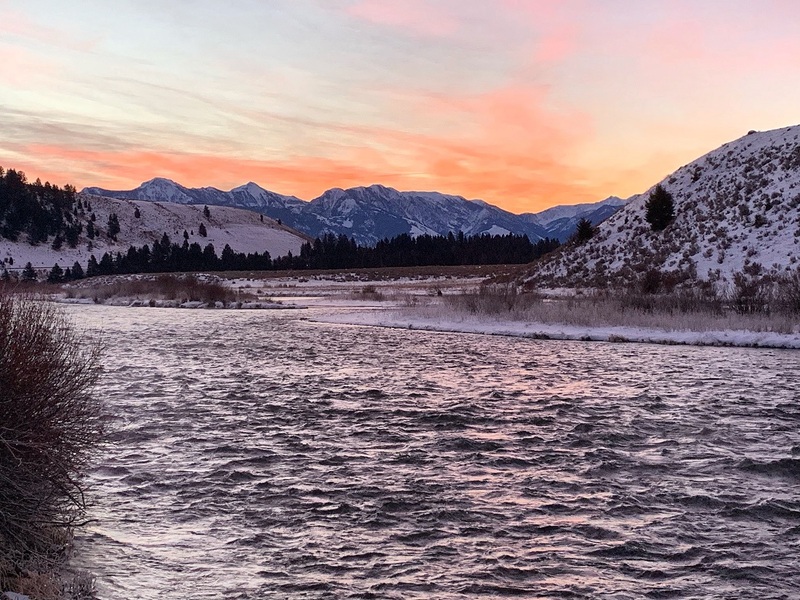 I wouldn’t say the dry fly fishing is super consistent at the moment, but that should change here in 3-4 weeks as we await the larger midge hatches of Mid-December through March. Larger patterns such as san juans and rubber legs haven’t been nearly as effective over the last week, so you’ll want to keep you flies on the smaller side. Zebra Midges, Juju Bees, RS-2’s, WD-40’s, and Three Dollar Dips in sizes 18-20 are all good choices as long as you are nymphing the right type of water. Look for the slow, deep holes and forget about the faster pockets for the time being as these fish seem to be moving more into their winter lies. Streamer fishing is still pretty good out there depending on the day, and we’ve had some great success on larger articulated patterns despite the cold water temps. Many of the fish we are getting to come to the fly are still moving a little on the slower side, so you’ll have to adjust your retrieve as needed. We’ve been keeping it to roughly 6″-8″ per strip, and most of the eats are usually halfway back to almost at your feet. Silk Kitties, Dungeons, Boogie Men, and Peanut Envys have been some of the better choices lately, and the cloud cover has certainly helped. Keep checking back for another Madison River fishing report from the Slide Inn.